I have already booked a single trip Nagoya->HK->Zurich for business class. If now want to change date from Nagoya->HK but no direct flight available now and only has seat via Taipei (Nagoya-Taipei-HK). Is it already over 2 stopover for a single trip (NGO-TPE-HKG-Zurich) and can’t change? You can change if the flight number of NGO-TPE and TPE-HKG is the same. 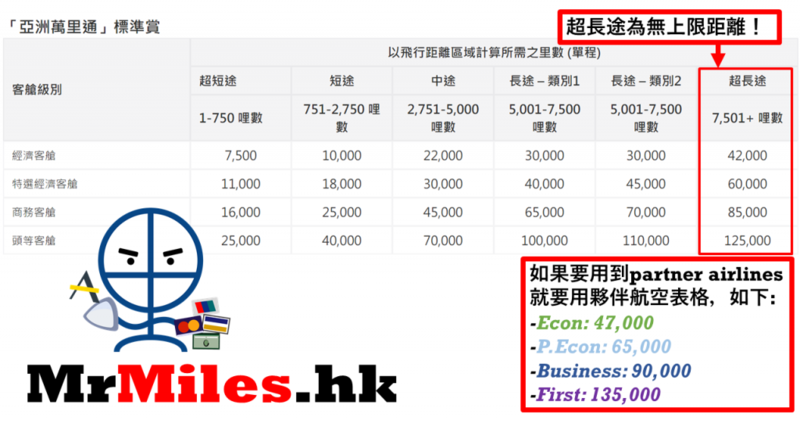 請問 HKG-HND (CX First) + NRT-TPE (CX Econ) 咁樣可以出假單程嗎? 里先生，如果我想換HKG-LHR, LHR-HND, 但上網check得LHR-HND有位HKG-LHR直航cx要waiting, 咁佢係咪會成套幫我排waiting? 又有人話cx以外partner flights冇waitng, 等到佢肯confirm咪都冇左LHR-HND機位？thanks! Both of them by cx? 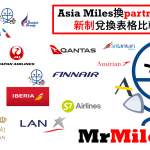 係asiamile website check 想問下點解FRA – ICN 冇得選擇航空公司?? 可唔可以HKG>NRT/KIX > ZRH>NRT/ KIX by JAL? 你好，我發現要redeem cx business class 到歐洲機位，長期waitlist,唔好意思，其實係咪佢唔放位？請問你有無秘訣分享？我已經試過一年後的香港巴黎direct ，all waitlist . Thank u !!! 做唔做到假單程 9 萬換 business ? 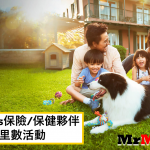 同埋係咪 LAX 回程唔可以直接返 HKG ? Can I redeem in this way? How many miles does it cost? If combined with Avios, then what ‘s the combination? How much Asia Miles point is needed if I want to have below trip? Also, how many days before should I call the hotline for redemption? 我想問下HKG-JFK-NRT 呢個假單程方法，係咪一定要打去換? 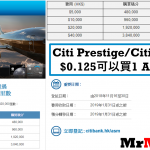 同埋American Airline 換JFK-NRT 難唔難換? 想請教吓我哋計劃去HEL, 如直航HKG-HEL-HKG 坐J class (100000 AM)。如果想 回程中間stopover多個點可以有咩選擇? Hello Mr. 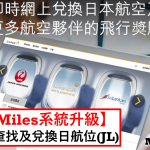 Miles, can QR/MH able to redeem one way ticket? Like HKG-LHR-KUL (CX+MH) & HKG-LHR-DOH (CX+QR). 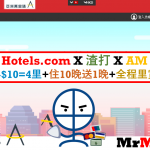 hello里先生想問下假單程大法可唔可以用其他one world partner例如QR/MH? 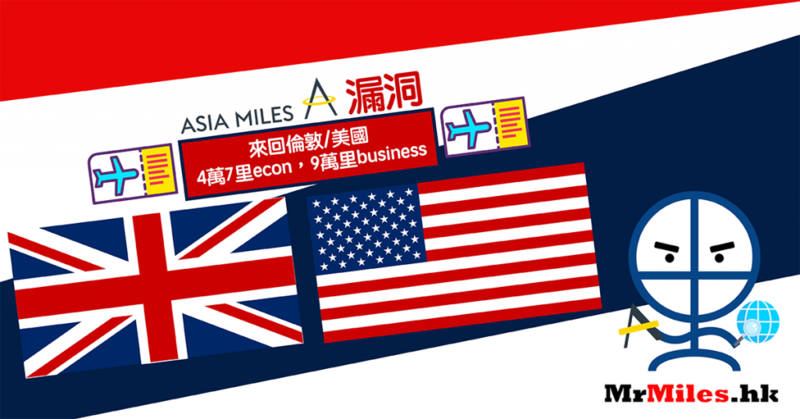 係唔係如果係asia miles search到有QR/MH單程就可以換到? JL/IB出唔到單程都係因為search唔到? 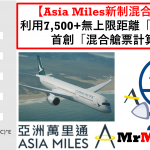 Can HKG-HND (CX), HND-CTS (JAL) be treated as one way for 10000 miles? Thanks! What about HKG>NRT>CTS>HND>HKG all flying JAL with 30000 miles? Or can only be HKG>NRT>CTS, HND>HKG ? How about Sydney and Tokyo? Can I use the same method to redeem tickets (any class)? Go Sydney then return to Tokyo? JFK-HND has flight operated by AA? Does it work with the route: HKG – CDG – LHR – NRT (I used London as a transit since there is no direct flight from CDG to NRT and we cannot use JAL)? If the above route doesn’t work, does that mean any EU flights need to go through London? Work or not work intern of what aspect? What is your miles you intended to spend? Sorry I wasn’t clear. I was referring if this is considered as one way? Hello! Would it be ok for the below? And how many miles it may need? Thanks!! one free stoper , is transit allow ? After studying your strategies I have successfully issued the below all business class . One set One World and one “Fake” One way. Just to share with you. Hi Cath! That’s very nice! Coincidentally I also issue a set of oneworld between FCO next year Feb! Aim to try the Qatar Qsuite! And the route to Maldive next year as well! That’s really nice to see what you share here and enjoy your tripssss! I stop over Vancouver before going back is even cheaper than just round trip Toronto (A84000)? 2. HKG –> NRT個轉, 係咪一定要坐?